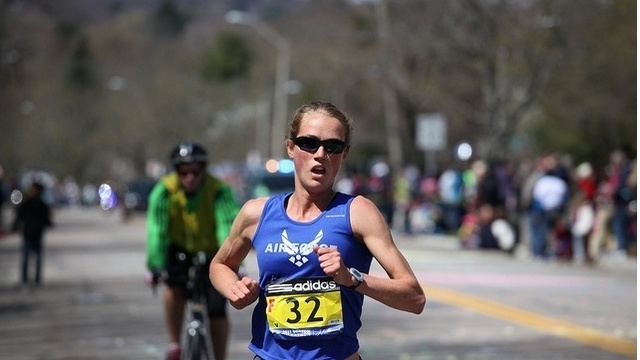 The 2011 Boston Marathon featured an inspirational showing by an 81-year-old Air Force veteran and a blazing finish from an Air Force active-duty female runner. First Lt. Caroline White, from the 80th Operations Support Squadron at Sheppard Air Force Base, Texas, finished in 2:37:30, a personal best and enough to take 18th place in her division. White is a winner and a beast of a runner. White wasn’t the only runner to represent the Air Force with distinction. Air Force veteran Clarence Hartley, 81, has survived two wars and two types of cancer. The Korean and Vietnam vet, who was featured in Runner’s World last month, can now add conquering the Boston Marathon to his resume, as he managed to finish at 4:26:25. The retired lieutenant colonel didn’t start running in races until after his 24 years in the Air Force (where he received the Distinguished Flying Cross and five air medals.) Hartley reached his running prime in 2005 and had his sites set on the Boston Marathon but was diagnosed with non-Hodgkin’s lymphoma. Two years later he was diagnosed with prostate cancer. He underwent chemotherapy and is now cancer-free.